Fall is a great time to repair your lawn and prepare it for the harsh winter to come. While it may be dormant to the eye, the root structure of your lawn is still at work. Fall lawn care is one of the best things you can do to provide for a healthy root system BS and improve the soil quality — just cover these basic rules. Now is the time to work to control winter weeds with an application of pre-emergent. If you are over-seeding for the winter, do not apply a pre-emergent herbicide because it will hinder the germination of your turf’s seed. Feeding your lawn with an even application of fertilizer is the best thing you can do to boost a strong spring growth. A 3-1-2 mix is a safe bet but be cautious not to over apply. Try to apply fall fertilizer 2 to 4 weeks before the first frost and always water-in after an application of fertilizer. To ensure you have a proper fertilizer mix, test your soil with an over-the-counter testing kit available from your local garden supply. Or take a test soil sample to your local Agri life extension agent for testing. Select slow release organic fertilizer for the soil and sod but if you have questions then contact your local garden supply professionals. When applying, follow all instructions on the packaging and water-in as recommended. This is the best way to prepare for cool weather dormancy and protect against winter kill. Water your entire lawn ½ inch per week if rainfall is lacking. Use a moisture meter at root level to measure the amount of moisture in your soil. Don’t scalp your lawn in the fall, leave it at least 2 inches high, this may vary depending on the grass variety. Continue to mow as long as your lawn is growing. Make sure your mower blade is sharp and do a little maintenance before putting it away for the winter. Part of fall lawn care is taking care of fallen leaves. If left on the lawn, leaves can form a wet blanket, smothering your turf and promoting disease. Keep leaves raked and picked up and use them in a compost pile. A small amount of leaves can be mowed and mulched into the lawn. If you have areas where grass just won’t grow then the fall is a great time for planting and establishing certain groundcover plants. Remember if you put your lawn to sleep healthy it will wake up healthy in the spring! 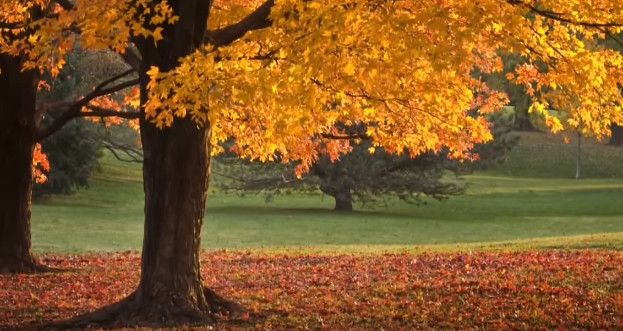 Check out the wonderful video below for more fall lawn tips and fertilizing. 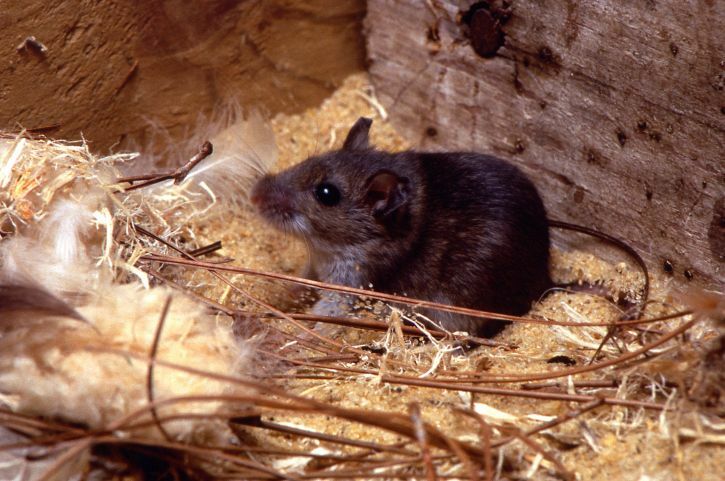 Many feel tempted to delay taking action to eliminate a rodent problem, not realizing that “time is not on your side.” Mice populations can soar within only a few weeks and then they can do extensive damage. Therefore, it is critical to contact a local pest control company with rodent control services as soon as possible after a mouse sighting. Anywhere there is a source of food and a warm, sheltered nesting location, mice are liable to make themselves at home. Mice are quick, elusive nocturnal foragers, however, so you may not even spot one for some time. If you do, it will likely be at night. Signs that mice (or rats) are living in your home, short of seeing one, include: squeaking, scratching noises, an unpleasant odor caused by mouse defecation, droppings and urine pillars, mouse tracks, damaged food products, and anxious pet behavior. Once you suspect a mouse is present on your property, waste no time in contacting a local pest control company that can render your building mouse-free within a matter of days. You should be able to get a free estimate, a reasonable rate, and fast, effective service, so do some comparison shopping. Make sure the company has extensive training/experience in eradicating rodents, good references from past clients, and uses only safe, legal methods. The inspection will cover all rooms of the house where mice may routinely forage or where they may be entering the building. Once entry points, nesting sites, and “mouse paths” have been located, an effective strategy can be formed. 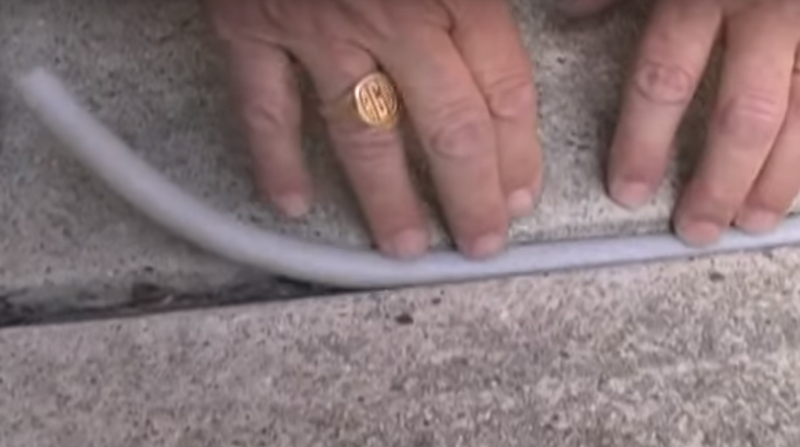 Mice can squeeze in through small cracks/holes as small as a quarter-inch wide, so all potential routes into the building must be sealed off. Inspectors will also look for grease marks where mouse hair rubbed against walls, fresh tracks, and for mouse nests, often hidden in wall cavities. Various techniques will be used by your pest control company, including poisoned baits, snap traps, glue traps, live traps, physical repellents, and electronic repellents. Traps should be set along mouse paths, but also in hidden/hard-to-reach areas since traps out in the open will catch fewer mice and be a danger to children/pets. Captured/killed mice must be disposed of quickly to prevent decomposition and the spread of bacteria. All traps should be checked at least twice a day. Your pest control company should do a follow-up inspection, but if there are no new droppings, tracks, scratching sounds, or sightings within a few days, all mice are likely eliminated. 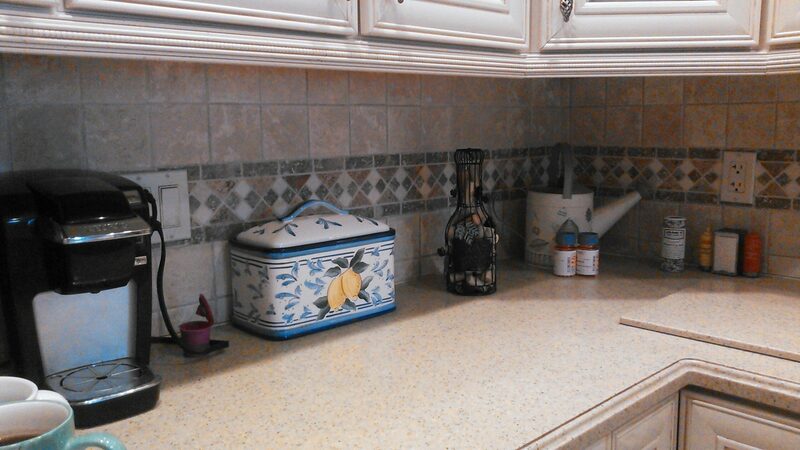 To keep it that way, keep up high sanitation, seal foods in tight-lidded containers, and seal trash cans as well. With entry points blocked and no food readily available, mice are not likely to get in. If you want to tackle this problem yourself take a look at the Next Page. 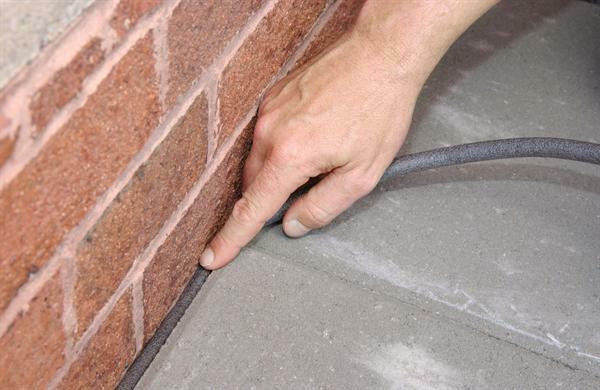 When filling a large crack or joint in concrete or asphalt it is best to use a backer rod in the gap first. Backer Rod is a round polyethylene foam joint-filler and backing material used for filling expansion joints and large or deep joints before installing elastomeric sealants. It is used mostly in the construction trades for filling expansion joints in concrete, wood and asphalt to allow for the joint to move, while allow for the use of less sealant and to keep the sealant from sinking into the joint. Backer rod can also be used in concrete and asphalt repairs to fill deep or large gaps before adding sealer. Some contractors will use fine sand to fill the gap first, but if the gap gets wider or deeper the sand will fall away and leave the sealant with no backing. Backer rods are available in 1/4“ to 1 ¼” diameters that are packaged in rolls, and thicker diameters of 1 ½” to 4” that come in cartons of 6-foot length backer rod. Click on the Next Page link for tips on installing backer rod and sealant. 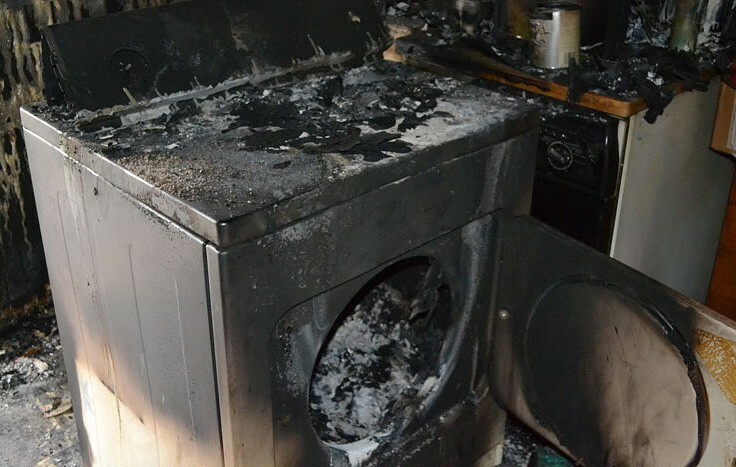 Your clothes dryer can be a major fire hazard if not maintained properly. Most people use the appliances in their homes without realizing how dangerous they can be if they are not maintained on a regular basis. The Consumer Product Safety Commission estimates that clothes dryers directly cause 16,000 house fires a year, accounting for 10 deaths, 310 injuries and over $84 million dollars in damage annually. Your dryer can build up with lint from your clothes. Although there is a lint filter that you clean out each time you do a load of laundry, not all of the lint gets caught in the filter. The lint that slips through or past the filter will eventually get into the dryer casing, the dryer vent piping or even your walls. Because the lint and the dryer are damp when you first the dryer, the lint sticks to everything. That lint will dry out and build up until it stops the air flow and causes a fire. Lint build up will also cut down on the efficiency of your dryer. This means it will have to run longer to get your clothes dry, costing you more for utilities. This will also cause more strain on the dryer, causing it to wear out faster, costing you even more. Maintaining your dryer is a simple job for any DIYer. Head over to the Next Page for help with cleaning out your dryer properly. 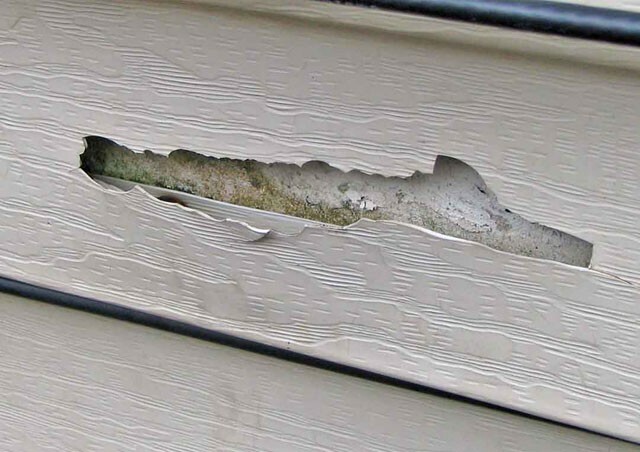 Vinyl siding is a very durable and flexible product, but is can still get damaged. A branch falling from a tree or an errant baseball, or wind can dent or crack the siding on your home. Replacing a piece of vinyl siding is about the easiest of sidings to repair, even in the middle of a wall. Vinyl siding is made where the pieces interlock vertically across the wall. Because they are flexible they can be separated from each other without damaging them, making them easy to remove and replace. It is best to do these repair during warmer weather as the vinyl does get brittle when it gets cold. If you are fortunate to have some spare pieces around you can replace the damaged section easily and no one will be able to tell. If you don’t have a matching piece, and can’t get the color or style you need, you can use a piece from an area that is not seen and use a piece that is close in color in the unseen area. We have even changed a whole backside of a garage with a different color, so we could use the matching material on the front of the house. Head over to the Next Page for directions and a video showing you just how easy it can be. Severe weather can happen any time of the year, no matter where you live, so you need to be prepared! 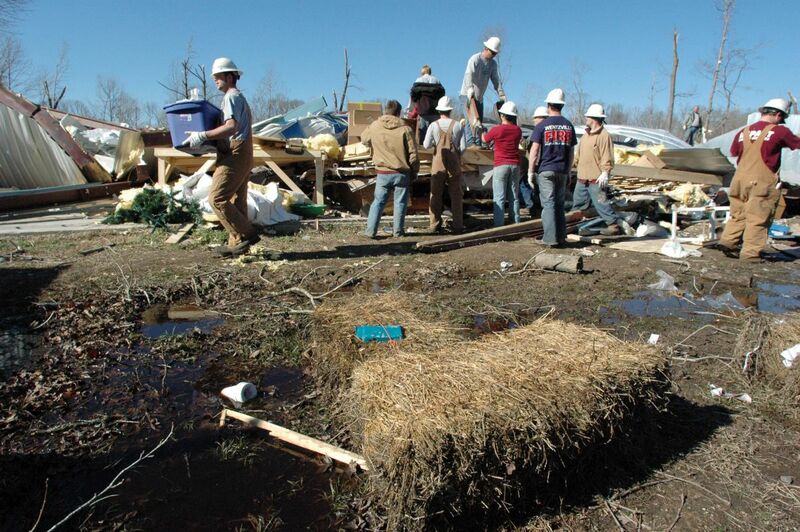 Whether it is a hurricane, tornado, blizzard, fire or flooding, having supplies on hand could save your life. Power outages, loss of water supply, road blockages can all cut you off from the every day supplies we rely on. Here is a list of important things for you to store away for when disaster strike. Essential Item you will need in an emergency. Water is of course at the top of our list. Having a large storage tank of water with a manual pump is great, but you should keep a supply of portable jugs on hand in case you need to evacuate. 5 gal per is a good starting point, more if you have the room to store it. Battery operated flash lights and lanterns are important, but only last so long, So be sure to stock extra batteries. Having emergency candles on hand, which are made to burn slower, and some water proof matches will prove to be helpful. No emergency supply kit can be without a first aid kit, getting medical attention quickly during a disaster won’t be easy. Storing food for an emergency is important, as food supply in stores deplete quickly during emergencies. Storing can goods and non-perishable food are you best options. Be sure to rotate these supplies with fresh ones every few months. Add some plastic plates and utensils for better eating conditions. While you can’t usually store medication for an extended period of time, it is a good idea to place a large note of reminder in with you supplies so you remember to grab them if you need to leave. Having a battery operated or hand crank radio to keep you informed of the conditions around you is very helpful. It will let you know when the situation is past or if you need to evacuate and the best route to take. Having a small easy to store and carry tool box or pouch, containing screw drivers, knives, saw and pliers, will be very handy in any disaster. 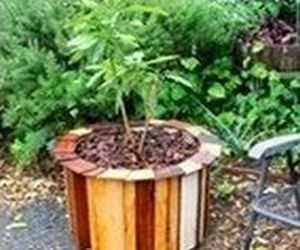 Building a great planter for your deck or backyard is simple with just an old plastic barrel and a couple of pallets or some other scrape wood. You can cut the barrel to any size you like and then wrap it with your wood, stain or paint it and you have a beautiful DIY barrel planter. Scrape wood: 2×4’s, 1×3’s and some 1×4’s. Some nails or screws, Nail gun or screw gun. You can of course do it by hand. Some sand paper and sanding device if you want to take the rustic look away. Some stain or paint depending on the look you desire. Start with deciding on the height you want your planter, then mark a line around the top of the barrel 3 inches shorter then the finished height you want your planter. Cut the barrel along that line. Drill some holes in the bottom of the barrel so water will drain through and not saturate the plant roots. Cut 2 – 2×4’s on angles and attach them to the bottom of the barrel for feet. Then cut your side planks ( 1×3″s) 1/2″ shorter than the height from the ground to the top of your barrel, this will allow you to keep them 3/4″ off the ground and your top will fit nicely. Place a scrape of 1x on the ground, under the planks as you install them for a spacer and to keep them even. Secure them to the barrel with nails or screws. Then you will need to cut 8 – 1×4’s to make the top, cut each end on a 22.5 degree angle one left and one right on all pieces. The length of the boards will depend on the size of you planter. Before you install the wood or after you have finished assembly you can stain of paint you planter is you desire. Photos courtesy of Do It Yourself. Spring Maintenance, Remember Your Lawn. 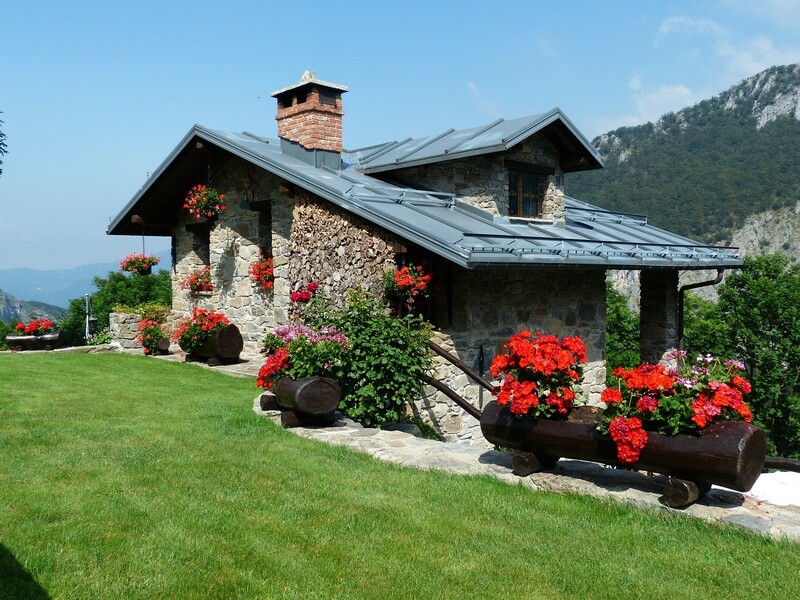 Now that the weather has turned nice and temperatures are rising, it is time to get outdoors and spruce up your home with a little spring maintenance. 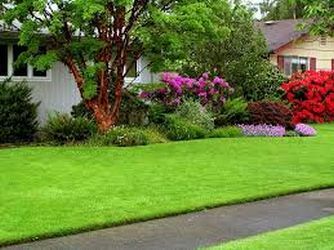 There are many projects to accomplish, but don’t forget to take care of the lawn so it turns thick and green for everyone to enjoy all summer long. Even though you cleaned up all the leaves and debris in the fall, there’s still work to be done now that spring is here. Before you break out the rake to clean up the leaves, old clippings, evergreen needles, and whatever else has accumulated over the winter, be sure the soil is well dried. Foot traffic and heavy raking a lawn that is still soggy can compact the soil and damage tender, new grass shoots. In the spring, gardeners have to choose between weed control and lawn seeding. Pre-emergent herbicides prevent grass seed from sprouting too, so you can’t do both – the herbicide will be active for up to 12 weeks, which means you’ll miss the spring planting season. Cool-season grasses can be planted as soon as the air temperatures get into the 60’s and soil temperatures are in the 50’s. Plant as soon as temperatures allow to give the seedlings a chance to get established before hot weather hits. Fall is a better time to plant cool-season grasses, so use spring planting for patching bare spots, and be prepared to keep your lawn well-watered during the summer. Warm-season grasses can be planted when air temperatures are in the 70’s, soil temperatures are in the 60’s, and all danger of frost has passed. Late spring is the best time to plant warm-season grasses. Spring is the best time to prevent weeds by using pre-emergent weed control, which works by preventing weed seeds from germinating. Your first application of a pre-emergent herbicide should occur just as the forsythia bushes finish blooming in spring – that should stop crabgrass and other weeds before they have a chance to grow. Both cool-season and warm-season lawns benefit from weed prevention in the spring. Pre-emergent herbicides work for about three months, so plan on a second application during the summer. Cool-season grasses: Resist the urge to heavily fertilize your lawn in the spring. Spring feeding encourages rapid tender growth that will struggle to survive the heat of summer, particularly in drought-prone areas. If your lawn is in bad shape, fertilize lightly in spring with a balanced, slow-release fertilizer. Save the heavier feedings for fall, when cool-season grasses are at their peak growing season. Warm-season grasses: Fertilize in late spring as soon as the lawn “greens up” and begins actively growing. This is usually in April or May, after the last frost. If you notice large brown patches in your lawn you may have an insect problem that will need to be dealt with fairly quickly to keep them from destroying the whole yard. Getting to Know Your Home. CONGRATULATIONS! You are a Home Owner! Being a home owner is one of life’s greatest pleasures. But even if you live in an apartment it is good to know this information. As a Home Owner or tenant, there are some things that you may overlook but really need to know about your home. We have put together a list of 10 critical things that will help keep you safe in an emergency or prevent major damage to your home that can be very costly. Electric Panel – Knowing the whereabouts and having some knowledge of what you are looking at when you open it will be very helpful if a circuit goes out or there are sparks coming from a light fixture or outlet and you need to kill the power. Some older homes still have fuses protecting the electric supply, but most homes today have circuit breakers. Both are designed to stop the power in case of an overload. While a fuse will need to be replaced if it blows, generally a circuit breaker just needs to be reset by turning it off and then back on. If the issue that caused the problem trips it out again, turn it off and call a professional to repair the problem. For more information on locating and understanding your Electric Panel, Click Here! Main Water Shut Off – The water main will shut the water off to your entire home. Knowing where the shut off is and how to operate it – before disaster strikes – can save a lot of money and headaches by minimizing damage to your home in case a water pipe breaks or an appliance malfunctions. Turning off your water main when you leave your home for an extended period of time could keep your home from becoming flooded while you are gone. For guidance on locating and operating your Water Main Shut Off, Click Here! Gas Shut Off – Over 57% of the homes in the US use gas for heating and cooking. If you use Natural Gas or Propane (LP) for any appliance in your home, knowing how to shut it off in an emergency could save your life and your home. People take for granted that their appliances work just fine, until one day something goes wrong. Everyone needs to know how to cut off the gas supply. For help finding and understanding your Gas Main Shut Off, Click Here! Filters – There can be many kinds of filters in your home. Water and Air are the most common and these need to be changed regularly to keep things working properly and to make your living environment more pleasant. Whether your water comes from a well or from the city it is a good plan to filter it as it comes into your home. A main filter will help take out sediment and minerals that are in the water. Here is a guide to helping you locate and change these filters when needed, Click Here! If you have a furnace or Air Conditioner they will have air filters that collect dust, pollen and other stuff floating in the air to keep it out of the equipment and the air that you breathe. Here is a guide to helping you locate and change these filters when needed, Click Here! Attic Access – Knowing where there is access to your attic is important, even if you decide you do not want to use it for storage. Being able to access the attic if you see water stains on your ceiling or hear noises coming from up above is essential. Even if you call someone else to investigate, you will need to show them the way. Escape Routes – Knowing the best way to get out of your home in an emergency before it happens could save your life. This is something that is very easy to overlook when you are excited about moving into your new home but is a very critical area to plan out. As they say on the airplane, “the nearest exit may be behind you!” A good exercise is to blindfold yourself and crawl out of your home as being blinded is disorienting but often common in a power outage or a fire. Water Heater – You turn on the faucet and you get hot water, but do you know where it comes from? Knowing where your water heater is, and some basic knowledge of how it works, can prevent disaster before it happens. A water heater can break and flood your home and even explode if not properly maintained. For great tips on the operation and maintenance of your water heater, Click Here! Garage Door Opener – If your garage door has an overhead garage door opener, as most do these days, it will not operate when there is a power failure. To prevent someone from being locked inside, all modern openers are required to have a manual release to open the door in this situation. Normally it is a cable that hangs down from the mechanism that attaches the door arm to the track. Pull on this cable handle to release the arm, allowing the door to be lifted open. Fire Extinguisher – Having a fire extinguisher in a few places in your home could save you from a complete disaster. Check to see if there are any in your home! If not, go and purchase a few, depending on the size of your home. Unfortunately, there are more homes without them than there should be. After finding or acquiring them, you need to understand where to store them and how to operate them. For are a great guide on using your Fire Extinguisher! Click Here! Water Drainage – Understanding how water drains around your home when it rains is really something you need to know. Water can seep into your home and cause extensive damage if it does not drain away properly. Even if you don’t see water in your home, poor drainage can be causing issues of rotting wood, cracking foundations and creating an environment for mold to grow. There are 2 major things to look for as far as drainage around your home is concerned. The first is that the soil around your home is pitched away from the foundation at least 1 inch per foot and at a minimum of 6 feet away from the house. The second item is that the downspouts from your gutters also end up at least 6 feet from the foundation. We hope you enjoyed this article and that we have helped you make your home a better and safer place. Click on the subscribe button on the top of the page to be kept informed of more great tips.